A collection of strainers for loose tea brewed in the pot, and the best tea bag tongs we've found! 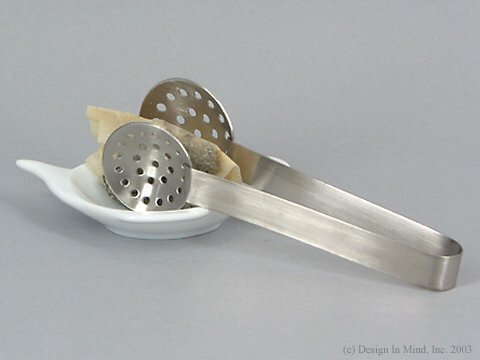 A good stainless steel tea bag tongs. 6 inches long. 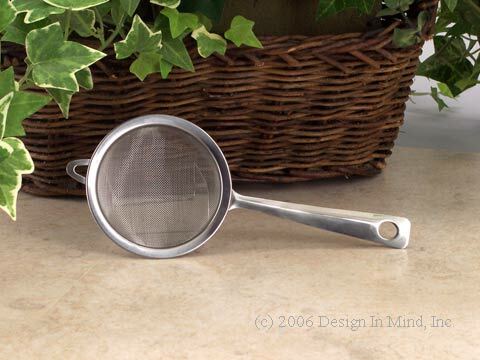 Stainless steel fine mesh tea strainer. 3 inch diameter with 4 inch handle. Handle style may vary. Made in China. 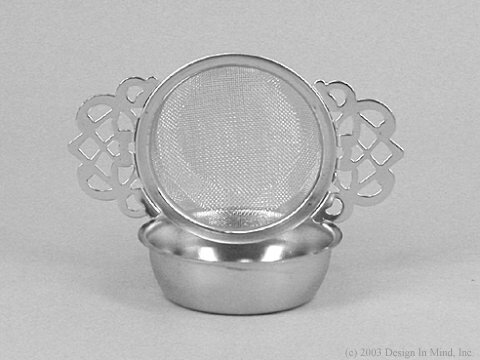 Stainless steel mesh tea strainer and drip cup. 2.5" diameter. Overall length 7.25". Conveniently hooks on cup. Hand washing recommended. 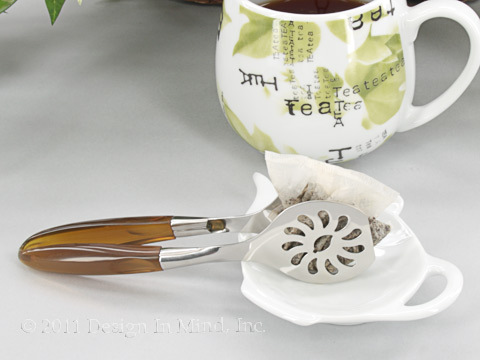 Stainless steel tea bag tongs with decorative design and brown handle. 6.25 inches long. 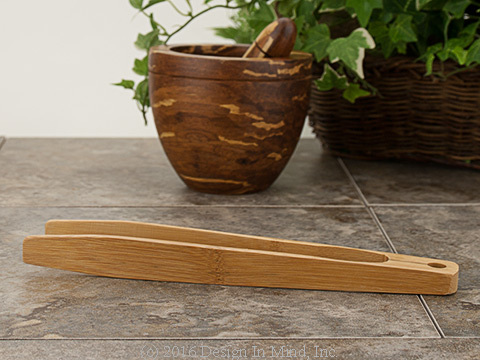 10 inch bamboo tongs are good for retrieving teabags from large teapots (and toast from the toaster). 10 inches long. Reinforced hinge makes this shorter tongs better for serving heavier items than our longer 12 inch tongs. 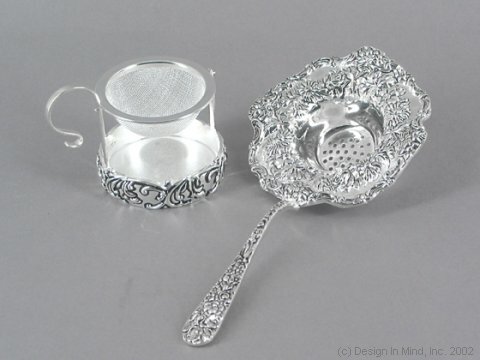 Silverplate serving strainers in two styles. The tip style stands about 3 inches high. 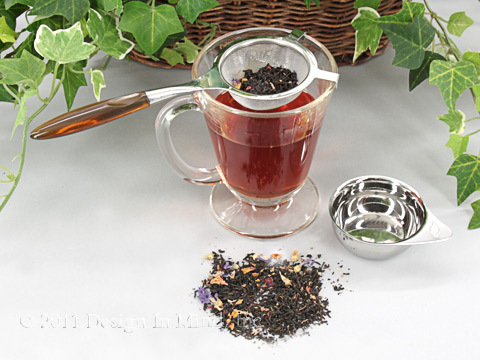 The long handled style is about 7 inches long and has a wide rim to sit steadily on almost any teacup. From China. 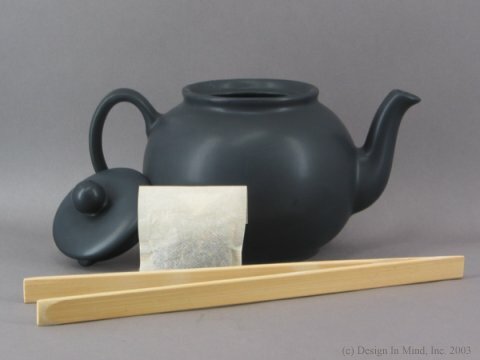 Long bamboo tongs are excellent for retrieving teabags from large teapots (and toast from the toaster). 12 inches long.